Hope Network is changing the way parents are supported when caregiving by offering Treatment Centers on & offsite support options for parents and other caregivers. Helping caregivers & parents have SHIFT HAPPEN! 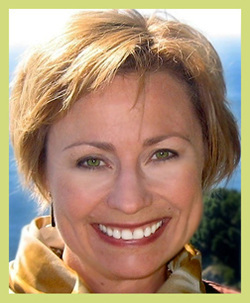 Becky Henry uses her skills as a Certified, Professional Co-Active Coach (CPCC) to coach families to let go of fear and panic, tolerate a loved one's distress, set effective boundaries and become effective supporters for their loved one in eating disorder recovery. Becky founded Hope Network, LLC in 2003 to change the way parents are supported when caregiving. She saw a huge gap in supporting families and she’s being the change. As a mom & coach who has walked this journey since 2000, Becky created services to support families. Now parents everywhere are having SHIFT HAPPEN, reclaiming joy, calm and peace...even those who have lost a child to these most deadly of all mental illnesses. A National Award Winning Author, Henry published, "Just Tell Her To Stop; Family Stories of Eating Disorders" in 2011 to reduce caregiver isolation, expose the reality of eating disorders, and reduce stigma. It is also an educational resource for training current and upcoming health practitioners so they are able to recognize red flags and confidently diagnose and refer people for treatment, opening up pathways to evidence based treatment. Connect with Becky on her social media. See the links in the upper right corner of this page. What do I do when my child has an eating disorder? Sometimes the mother and dad just need to talk to someone who isn’t their child’s treatment provider. Worries about our other children can add to the burdens of parenting a child with an eating disorder. How do I face this and find effective treatments? How do I handle the insurance problems? How do I cope with holidays? How do I make sure siblings don’t feel neglected? What about the guilt about not being able to prevent this? How do I talk with my child? People can’t be strong and helpful to their loved one if they don’t take care of themselves. See how to find answers on the FAQ page. –Hope and HELP to Separate YOU and YOUR CHILD from the ED! Parent-offered resources they have found useful. Sometimes eating disorder professionals don’t have all the answers, but experienced parents do–and share their successes (and failures). It’s good to hear from you. Here’s a bit of feedback for you. I learned to distinguish when my daughter was speaking from her authentic self and when the eating disorder was speaking. I learned to ask her “What do you think I just said?” We could then have a true conversation rather than each of us responding to a misinterpretation based on faulty thinking. And thanks again for the support I received from the group, from coaching, and from reading the book. It changed me and had such a positive impact on K. She is at University in the first year of her residency and is doing well! “I believed I could stop erasing my own sweet self and I asked Becky Henry to accompany me (she is a coach for mommas of children with Eds) in this space of Impossible where I lived.I needed to save my own life, my daughter's anorexia was eating me alive!!!!!! A few words about how you and the Hope Network Parent Programs have helped me as a support for my daughter in regard to her eating disorder. I could have written pages about this !! Please feel free to share our name with whomever you need to. I’m not sure if I ever properly thanked you…. Thank you, I know you must speak with many many parents/caregivers daily. What you gave to us was a gift. The gift to help us help our daughter. You gave us the “permission” to need support ourselves. We thought we were supposed to have ALL the answers. We didn’t. We have a better understanding now. Finding a family based therapist was the best thing we ever did. It certainly cut out a lot of years of useless therapy. Anyway, forward my response and let me know if you need anything else. Early on, before we even found our family based therapist, I had a consultation with Becky Henry. I was feeling incredibly overwhelmed and ill equipped with dealing with our daughter’s eating disorder. I also felt incredibly alone. My husband and I would cry ourselves to sleep most nights. Our family simply did not understand. I would say that the Hope Network was the first resource I used to help us. Becky was referred to us by another Mom who had been successfully consulting with Becky. I never before that moment considered getting help for me and my husband. Our main concern at the time was our daughter who was medically unstable and was exhibiting some disturbing behavior. Being supported as a care giver, I believe, is vital to the success of the person suffering from an eating disorder. Eating disorders are a multifaceted disease. The average person doesn’t know anything about it and even the family going through has very little understanding of it. After speaking with Becky, I realized there was no way our family would get through this unless we established therapy that included all of us. My husband and I heard for the first time that we were doing the right thing. Music to our ears. Beforehand we were kept out of our daughter’s treatment. I was second guessing my instincts as a mother. I have to say that dealing with our daughter’s ED has been and remains one of the most difficult things we have ever gone through. Had we not reached out to get support for ourselves, I personally feel like would have never had the energy, resources or strength to go on. Our child today, nearly a year later, is in recovery. She has co-morbid issues but has no issues with food. She is moving closer and closer everyday to an independent, healthy, vibrant life as a 21-year-old.